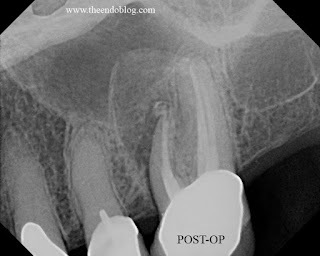 Sometimes endodontic surgery (apicoectomy) is required for complete periapical healing - even on teeth with ideal (or close to ideal) non-surgical treatment. 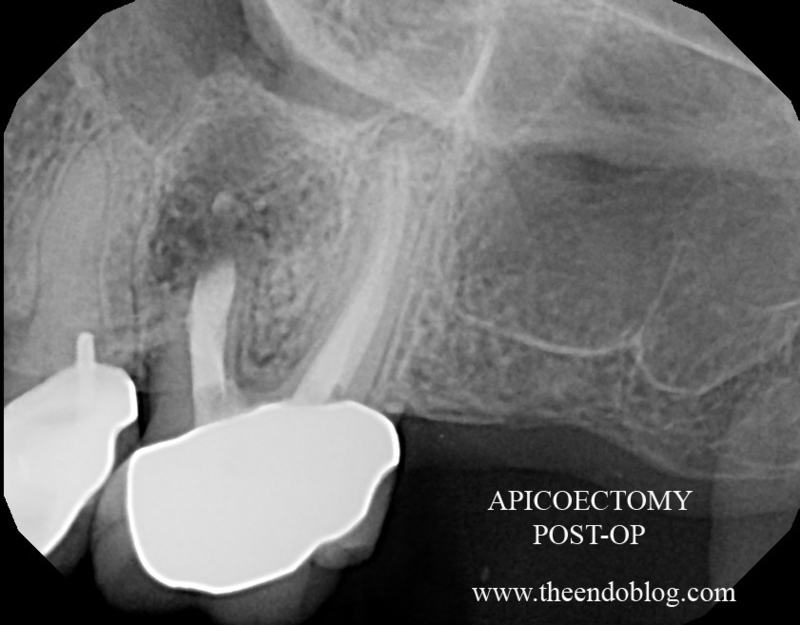 We are not always able to identify the reason that apical surgery is required. Perhaps it is complex apical anatomy and the inability to completely clean, shape & fill it. The apical third of the root tends to have the most anatomical variation. For a greater appreciation of the complex anatomy of the apical canal, check out the anatomy shown by Dr. Ronald Ordinola Zapata and others published at the cleared teeth blog. 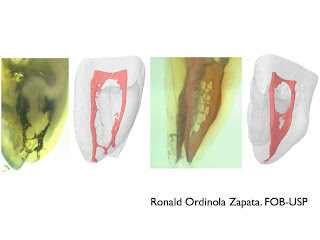 The following case demonstrates the occasional need for endodontic surgery, despite adequate non-surgical treatment and retreatment. Tooth #14 was asymptomatic, but a large pa lesion was noted. 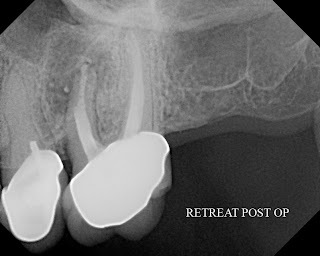 Tooth was diagnosed as necrotic pulp with chronic apical abscess (sinus tract present). Note the size of the lesion and its elevation of the floor of the Mx sinus. RCT was recommended. 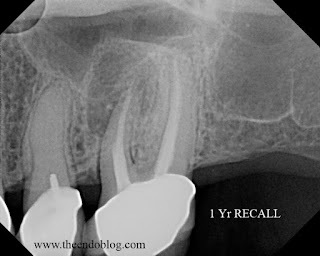 At 1 yr recall the tooth was still asymptomatic and functional, but the lesion does not appear to be improving as expected and a sinus tract has again appeared. ReTx completed. No cracks or fractured seen. No additional canals located. No sign of the cause of initial failure. 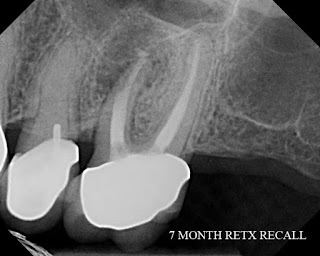 7 month recall after Retx. 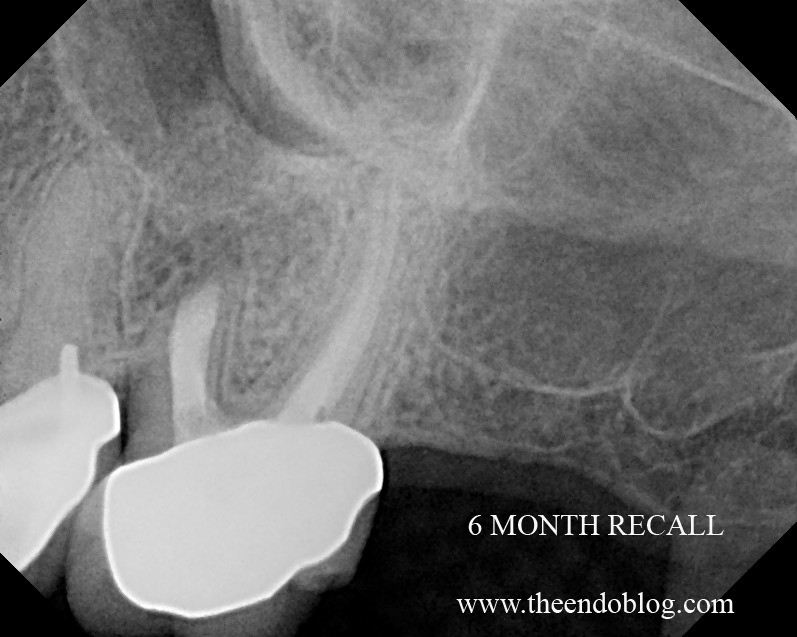 Tooth still asymptomatic and fully functional, but sinus tract returned. Apicoectomy recommended. 6 month recall following apico finds the tooth asymptomatic, fully functional, periapical bone healing. The patient was pleased to be able to save the tooth. 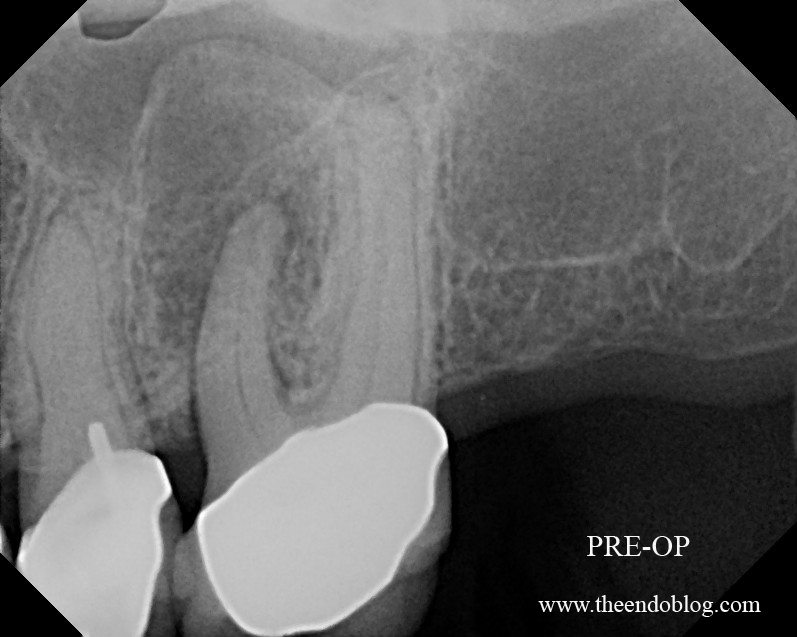 The periapical bone has healed nicely and the anatomy of the sinus floor once again looks normal. In this particular case, non-surgical RCT and retreatment - both done with use of operating microscope, failed to resolve the infection. Apical surgery was required. At Superstition Springs Endodontics, we are committed to saving teeth and have all treatment options available to help people save their natural teeth. Great information about apical surgery.